Please use the make contact with info provided at every single pool profile to check if they are offering aquagym lessons, mainly because just isn't so widespread to find out an Aquagym in Faroe Islands. 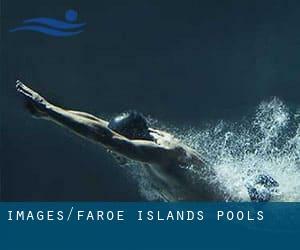 Do you know of any Pools in Faroe Islands that needs to be listed here? Contact us!. Swimia.com has probably the most up-to-date database on the net about nearly any Faroe Islands Swimming Pool. Classified by countries, regions and cities, it truly is painless to discover the nearest pool at the locations you visit. 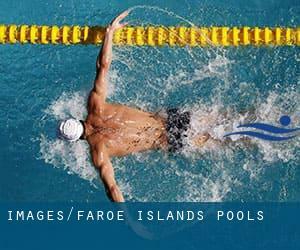 For Faroe Islands, you possibly can have a look at the pools we have gathered for you. Swimming is a sport for all ages. It helps young people today to tone their muscles and grow healthy and robust. For the elderly, there's no better way to exercise than locating a Faroe Islands Swimming Pool to escape from daily routine. Please contact the sports center in Faroe Islands to check which activities are being provided and their timetables, because Faroe Islands Pools could have various rules and fares than other places. The perfect Faroe Islands Pools are located primarily in large cities, but it's also painless to discover public pools in rural locations. Enjoy the best indoor pools in Faroe Islands and don't worry about the weather. These facilities are open all seasons and you can enjoy a swim at the same temperature every day of the year. There are many causes why it's best to choose a heated swimming pool in Faroe Islands. One of the most critical a single relies on the significance of keeping the body temperature stable. If the water is too cold, your body will try to warm it up and you will shed strength to swim appropriately. Whereas Argir is one of the six most populous cities in Faroe Islands with almost 1.871 residents, you shouldn't miss that one if you're going to Faroe Islands. It's difficult to visit Faroe Islands without dropping by Fuglafjørður (with 1.542 residents). Presently Swimia is showing you all of the Swimming Pool in Fuglafjørður along with the closest pools located in its vicinity. Let us tell you a secret to switch off though you will be in Vágur: just choose a Swimming Pool in Vágur and plunge into the water! There's no even more helpful technique. Swimming is usually a excellent idea to keep your body active throughout your visit to Tórshavn (Faroe Islands), or even if you're a local. Swimia helps you to find your closest Swimming Pool in Tórshavn. Holding an estimated population of 4.664, Klaksvík is one of the most important cities in Faroe Islands. Check all of the Swimming Pool in Klaksvík and its surrounding area. Without a shadow of a doubt, swimming in Hoyvík is the most effective way to unwind soon after perform. Take a couple of minutes to browse Swimia's catalog to find a Swimming Pool in Hoyvík. Hoydalsvegur 21 , Torshavn (Postal Code: FO-100). This sports center offers 25 meters x 12.5 meters, 6 lanes, Indoors. Contact knowledge for this Swimming Pool for instance phone number and email address are number.